St Ives Jazz Club have announced their programme for January - March 2010. As ever they're bringing some top class jazz acts to The Western Hotel in St Ives every Tuesday night. Doors open at 8.00 pm, music starts at 9.00pm and entry on the door is £10.00 / £6.00 (members). 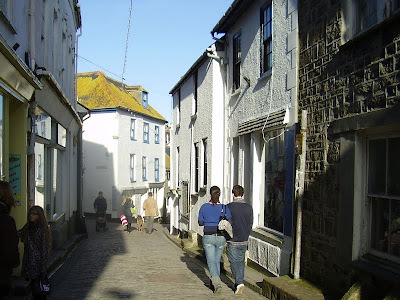 Two St Ives hotels have been named among the top twenty five in the entire UK in the TripAdvisor Travelers' Choice Awards 2010. Boskerris Hotel and Primrose Valley Hotel were both included on the basis of reviews by individual travellers. Boskerris has 165 reviews on the TripAdvisor website and Primrose Valley has 144 - so this can't be put down to a small number of favoured guests - its well earned. So St Ives has almost 10% (ok 8% if you want to be precise) of the top hotels in the country - not bad for a small town in the far west. Well done to both Boskerris and Primrose Valley. 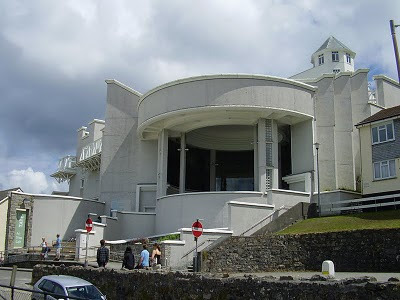 The new Tate St Ives exhibition opens this Saturday - 23rd January 2010. Dexter Dalwood and the Tate Collection runs until Monday 3rd May. There will also be a display of works from the Tate Collection selected by Dexter Dalwood, including work by Pablo Picasso, Roger Hilton and Dan Graham. 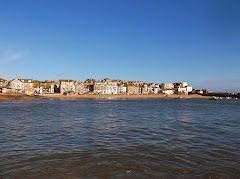 Its been another sunny day in St Ives today - a reminder of how nice it can be here in Winter. Before we moved here we always used to come down in February. 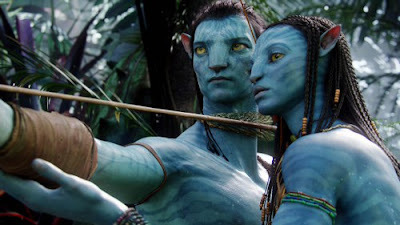 Prices for accommodation are a lot cheaper and there are no crowds to fight through. So if you're not lucky enough to be here already - worth thinking about. All of the pubs and most of the restaurants, shops and galleries are open as usual. A few examples of good deals on accommodation. Sail Lofts - luxury five star apartments - have some good offers. You can currenly book an apartment sleeping six for seven nights at £425. Short breaks are also available. Lyonesse Seven - luxury apartment sleeping six - are offering 20% off normal prices throughout January and February. 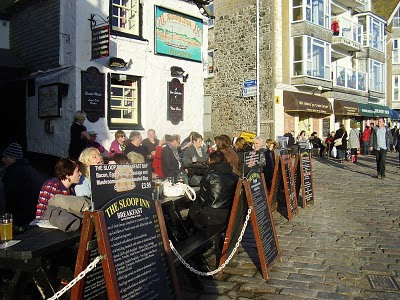 Many of the pubs and restaurants have special meal deals at the moment. They're often not listed on their websites, so best to have a walk around town when you're here and keep a look out. So - well worth getting down here before the crowds return at Easter. Just a reminder that St Ives Farmers Market continues through the year and is still open every Thursday at St Ives Backpackers. Open from 9.30 am to 2.00 pm. Despite the winter there was still a great selection of fresh produce available when I went in this week. Vegetables, meat, fresh fish and my personal favourite - Ruby June's amazing curry sauces. The latest arrivel is Cornish Kiwi Fruit - from a grower just outside Ludgvan. 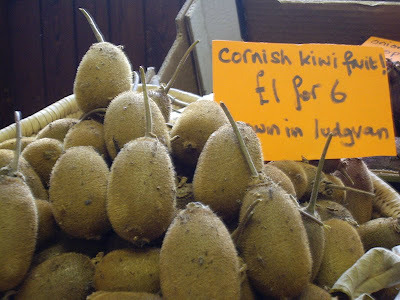 I must admit I didn't know that anybody grew Kiwis in Cornwall. They should be available for the mext two or three weeks - so get down to the market on Thursday if you want some. My wife Jo will be running a series of Textile Art Workshops in St Ives over the coming weeks. All run on Saturdays from 10.00 am to 4.00 pm and cost £40.00 including materials. 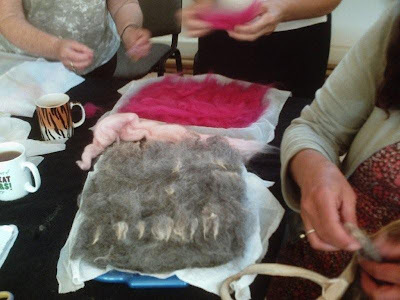 Jo will also be running a Feltmaking Weekend - Saturday 20th and Sunday 21st March. Great fun, a chance to learn something new and be creative. Please do get in touch if you're interested and want more information. You can contact Jo via her website or call her on 01736 797 122. 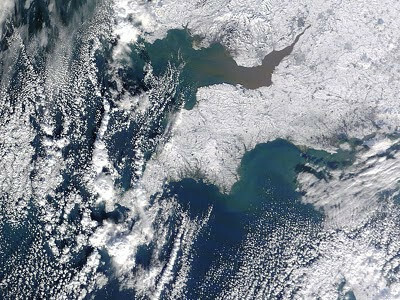 Hello from a very cold - and maybe soon to be snowy - St Ives. Its been a sunny day here - but more snow is forecast for tomorrow. Also - I know that the cold weather we've got here is nothing compared to what our friends further north are experiencing. My wife Jo is currently heading to Yorkshire to visit family - minus 18 degrees there last night. Hope you're all ok.
Gordon Brown has just announced that the gas will not run out - best start stocking up on logs and coal right now ! I did today. Not surprisingly things have now got a lot quieter in town. I will probably be reducing the frequency of my What's On posts for a while - as there is less going on. 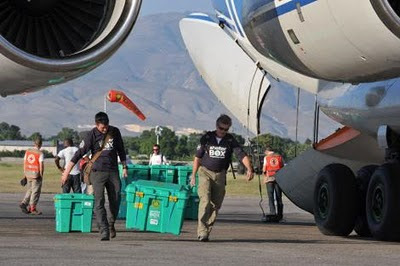 I'll also focus here on events that take place weekly or fortnightly throughout the year. Tomorrow (Sunday 10th) Tregenna Castle are staging the first of their Sunday Lunch and Jazz gigs. A three course lunch with live jazz - cost is £12.95 per adult. Food is served from 12.30pm and the music continues until 3.00pm. Booking required - call 01736 795 254. Every Sunday until the end of January. On Monday (11th) The Castle Inn have their regular Fun Pub Quiz. It starts around 8.30 pm and entry is £1.00 per person. Teams of up to five, cash prize for the winners, great selection of real ales on tap. Every Monday throughout the year. On Tuesday (12th) St Ives Knitting Group meet at St Ives Library at 7.00 pm. All are welcome and help is available for beginners. Every fortnight. 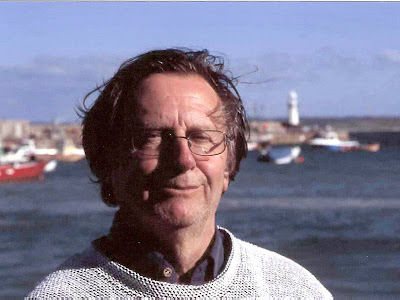 On Wednesday (13th) you might try a Life Drawing Class at St Ives School of Painting. It starts at 7.30 pm and there is no need to book - just turn up, cost is £7.00. Repeats weekly. On Thursday (14th) Cafe Frug is back at St Ives Arts Club. Music, poetry, prose, film and comedy. Starts at 8.00 pm and entry is £4.00. Every fortnight. On Friday (15th) the Mixed Winter Exhibition continues at Millennium. Contemporary work by St Ives and other artists, free entry. Open daily from 10.00 am to 5.00 pm until 1st February. 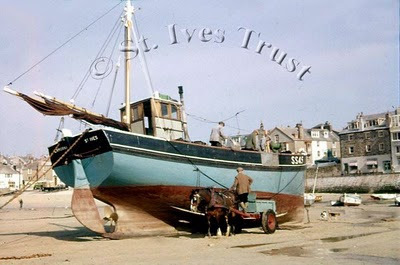 Have a great week in St Ives - lets hope it warms up soon. 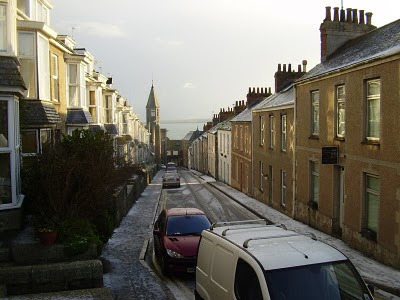 Snow on the ground in St Ives this morning. Take a look at this great film of the New Years Eve festivities in St Ives - by local filmmaker Alban Roinard of Eia Films. It really captures the spirit of the night in town. I had a great evening - partly spent around town and partly in front of the log fire at home. A Happy New Year to all of my blog readers.